Those of you who’ve already purchased my short game video, Use the Bounce 2.0, are familiar with my new website Rebellion Golf. For those who aren’t aware, my marketing people informed me that I’d reached the ceiling with MonteScheinblum.com and needed a better name and a new website. Almost any name would do. So we’re Rebellion Golf now. But what are we rebelling against? Cliches, poor instruction, lazy conventional wisdom, and the misconceptions that rob golfers of the joy that this game should provide. We launched rebelliongolf.com in late November of last year as the new home for my premium instructional videos. Now we’re moving into phase two, where we move the rest of what was montescheinblum.com over to this site and improve it along the way. Once we’re set, montescheinblum.com will forward to this site, and the URL montescheinblum.com will be no more. So for those just joining us, welcome to the new site. In the meantime, work on this website will continue over the next several weeks. What sort of things do we have planned? ONLINE CLINIC RESERVATIONS: LIVE! You’re now able to pay a 100% refundable $200 deposit through this website for the clinic of your choosing using PayPal. And remember, you don’t have to have a PayPal balance to do so. You can always use a credit card. You don’t even need a PayPal account. Our current clinic schedule is live now and can be viewed HERE and in several other places on this website. ONLINE VIDEO LESSONS: COMING SOON. We are done building this and are in the testing phase. These online video lessons will take place right here at Rebellion Golf. You’ll be able to upload your swing and get a video response from me with voiceover. Those of you who remember AthleteNation.com know the drill. You’ll also be able to ask me follow-up questions. NEW AWESOME, MUST-HAVE INSTRUCTIONAL VIDEOS: Naturally more videos are coming. You didn’t think I’d build a new website without creating more videos, did you? In the meantime, I know that many of you have not yet purchased USE THE BOUNCE 2.0. Feel free to do so here. You can read more about the video here. IMPROVED BLOGGING PLATFORM AND MORE FREQUENT POSTS: It’s no secret I haven’t been writing as often as I’d like. I’m going to be posting regularly as soon as the dust settles here. In addition, we’re in the process of sorting, organizing, and improving old blog posts so that finding the method to my madness becomes much easier. For starters, if you look to the right of this post, you should see a section called CATEGORIES. We’ll be expanding those categories as needed and sorting legacy posts so that you can find everything I’ve ever written about lots of various subjects. 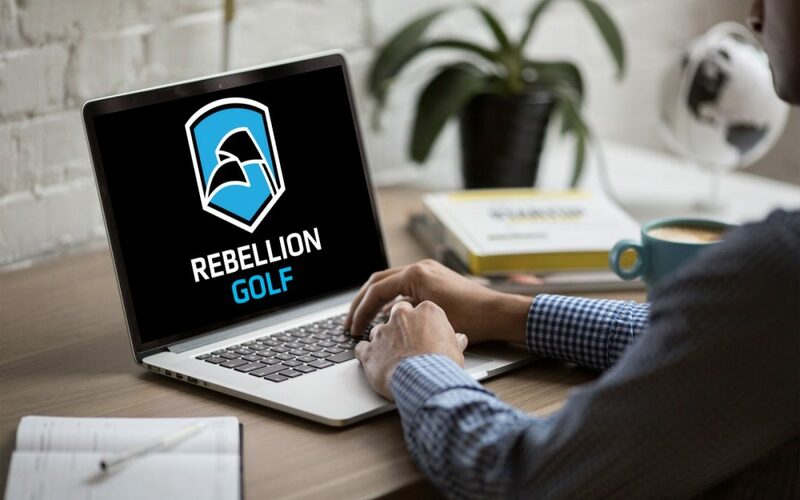 If you’re reading this because you’ve already purchased videos at RebellionGolf.com and are wondering where those videos are, you can now find them by clicking on any of the video links available on this website or by clicking HERE. Feel Free to Share: You’re going to see buttons that look like this at the top and bottom of most content on this website: So if you see something you like and feel like sharing it on one of these social platforms, you can use those buttons to do so. Receive news about site features, new video offers, clinics, and special discounts. We promise not to spam you! In the meantime, if you have any issues with the new site, feel free to contact us.